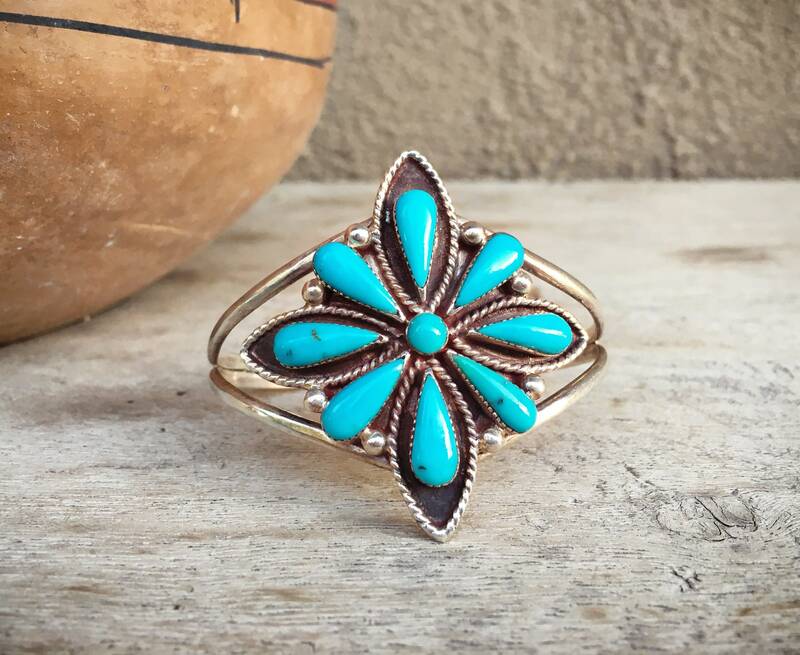 This vintage cuff bracelet features turquoise is vibrant blue with small specs of black matrix. 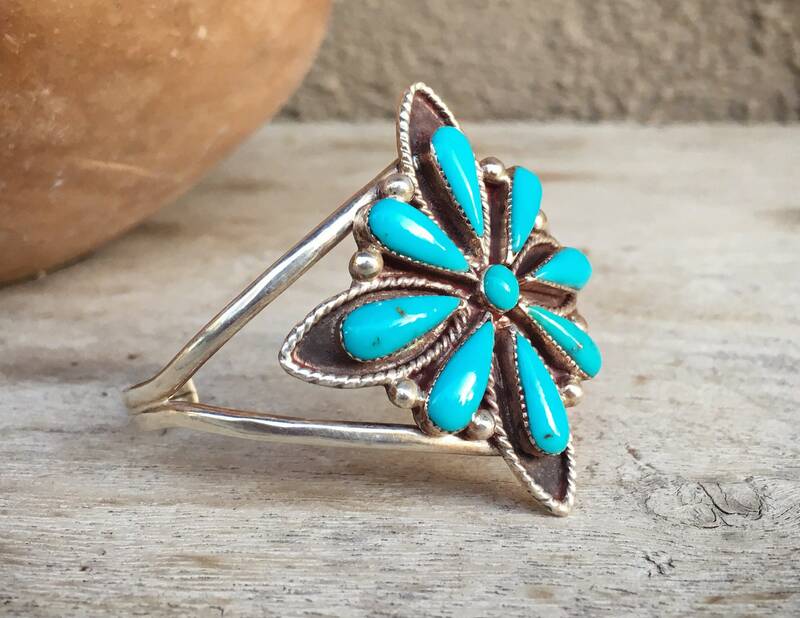 The cluster design is almost like a star shape, the longer teardrop shaped pieces of turquoise interspersed with shorter ones. 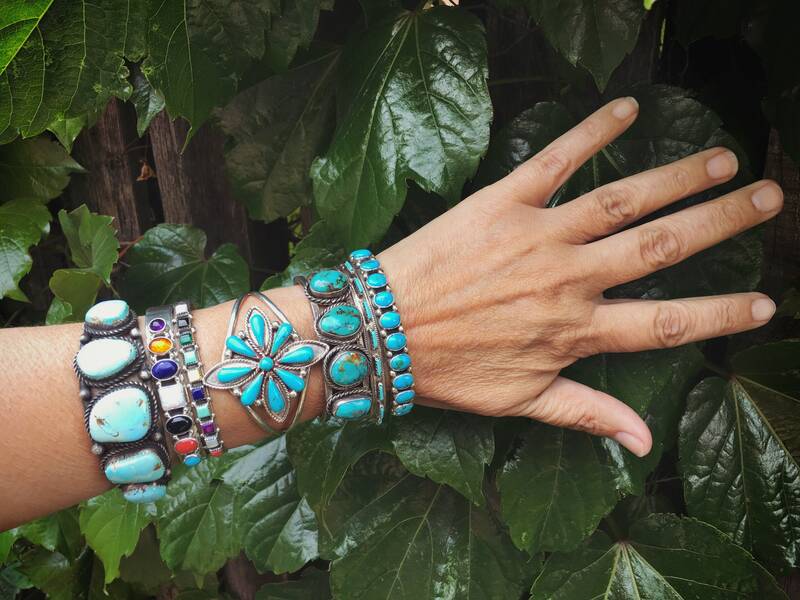 The base is oxidized and eight cabochons of turquoise in sawtooth bezels, silver "raindrops" punctuating each cab. The wire shank is not thick and is especially good for the person who doesn't like too much hardware on the wrist. 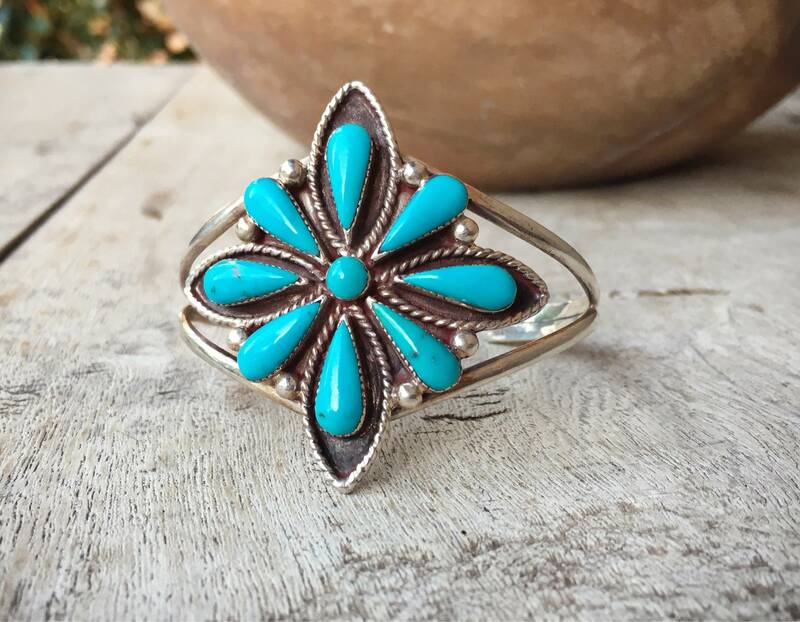 One MIGHT be tempted to try to adjust the size by squeezing or opening, but please do not do so, as that could result in damage to the bracelet face and compromise the seating of the cabs. 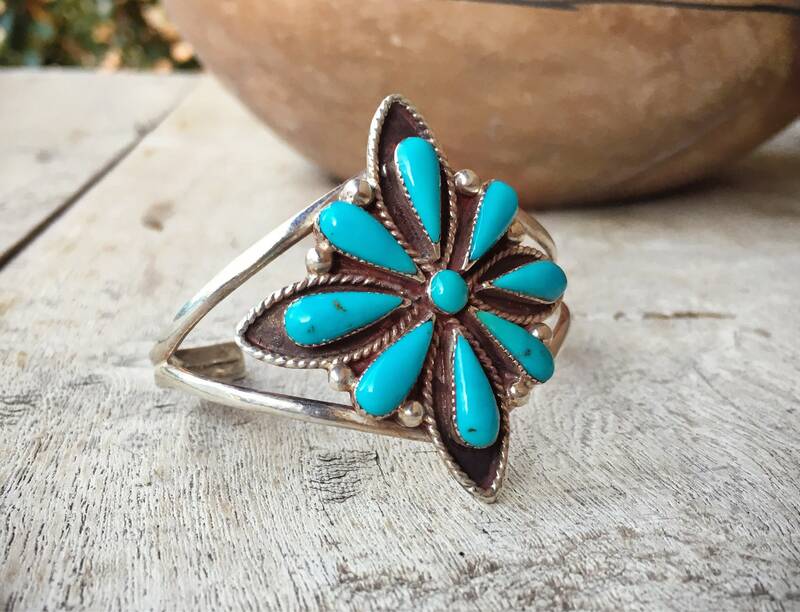 The other thing to avoid is cleaning off the oxidation, as the contrast not only adds depth to the turquoise but also shows age. 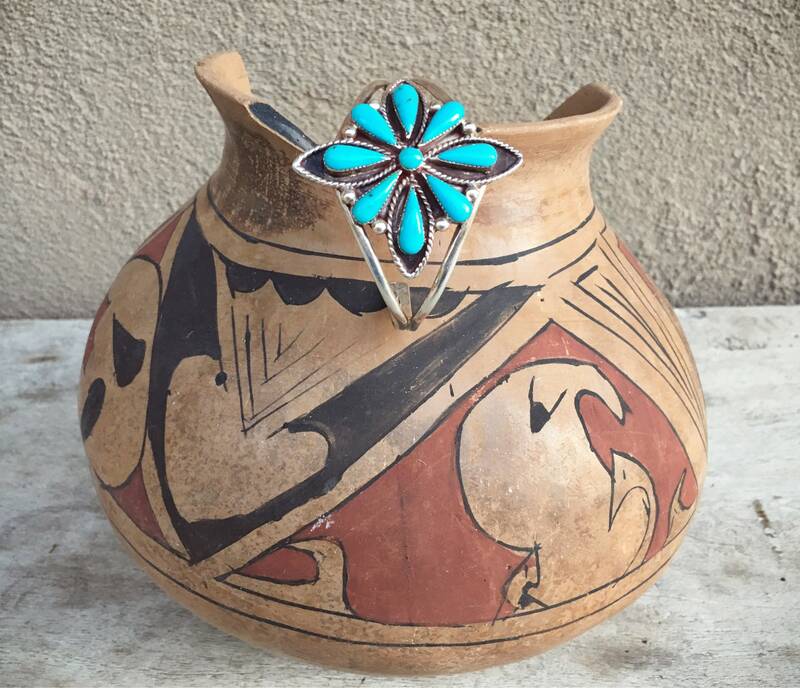 As this is an unmarked piece, we cannot say with certainty that it is Native American; however, we believe it is Navajo. Again, the shank is for a small wrist, at 5" not including the gap, and the gap is about 7/8", so 5-7/8" total. Bracelet face measures 1-7/8" at the widest point. 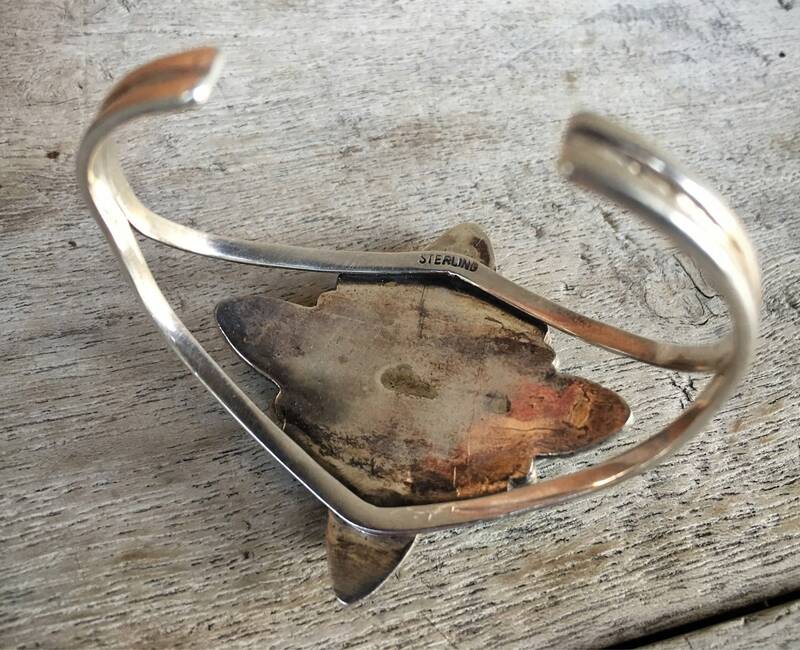 Tarnish has been polished off, not by me, but the silver is quite clean. Sterling stamp on the back.